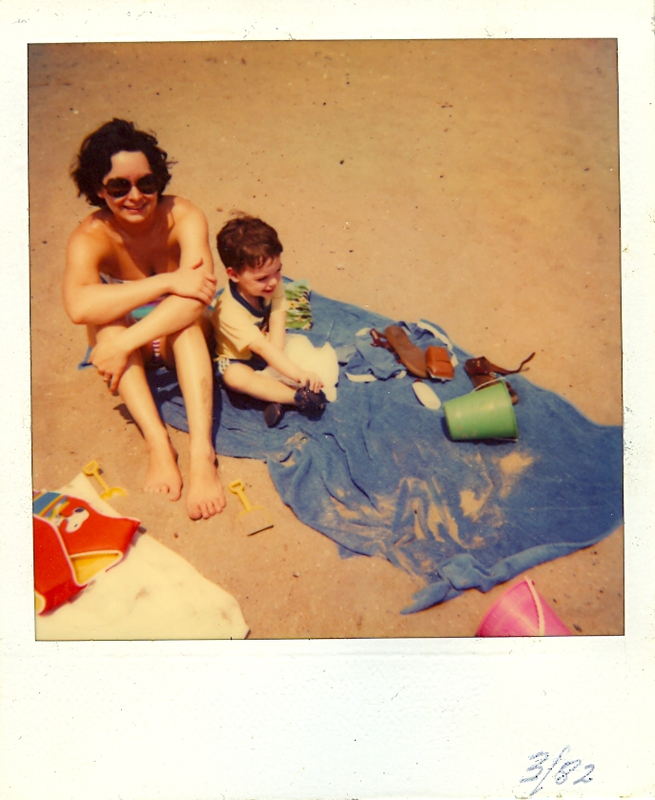 My editor, Philip Patrick, asked me for some photos of my mom and I. I gave him three or four but knew he’d pick the Polaroid of us at the beach in Fort Lauderdale. 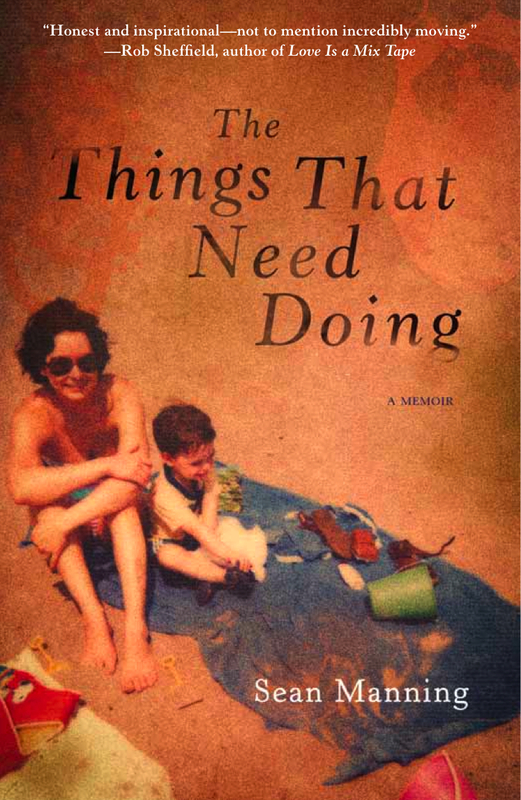 It’s so perfectly representative of the book: us alone together, just as we were for much of her time in the hospital and at the very moment of her death; me looking off into the distance, having no idea of what was in store; of course, the symbolism of the life preserver. Philip came back with two options. 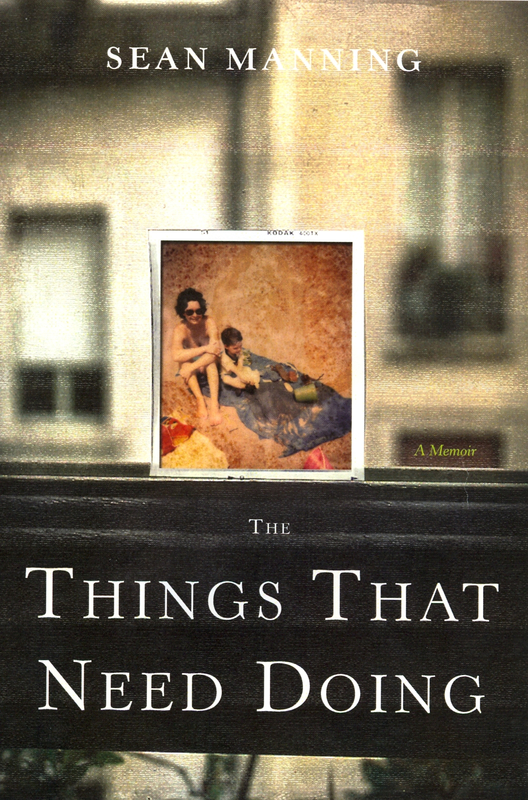 One was the Polaroid resting against a window in a hospital room. I liked the austerity of it, especially the font. But the second one, using just the photo itself, was the clear choice. I loved the metaphorical quality—how the beach seemingly stretches to eternity—and the subtle splotch of a teardrop in the top right corner. There was the question of whether, due to copyright, Snoopy would have to be airbrushed out. Both Philip and I loved that detail and really wanted to keep it in. Luckily, it was okay. Initially, when working on the cover for The Things That Need Doing, I came up with imagery of a red balloon being released into the sky, symbolizing loss, in particular the memory of losing a loved one. However, upon further discussion in a cover design meeting, we decided that the imagery needed to be of a more personal and intimate nature. Sean provided us with a childhood photo depicting him and his mother during a seaside outing. Upon receiving the photo, I decided to really saturate the colors and give the overall cover a nostalgic feel and sense of wistfulness. The result, in my opinion, was a cover that captured a happy childhood memory, and the searing love between the author and his mother. check out beautiful covers by Greg Mollica. That’s a great cover – and even better because it is a personal photo. Love it!